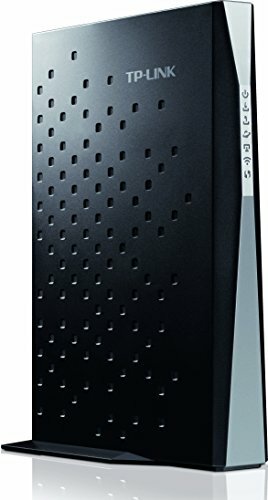 The TP-Link Archer CR700 AC1750 is a cable modem router certified for most cable service providers and has Wi-Fi speeds at 2.4GHz up to 450Mbps and 5GHz up to 1300Mbps bands. With the fast 16x4 channel-bonding, this can reach download speeds of 680Mbps download speeds. Also adding in six internal antennas and high-powered amplifiers to boost signal strength and reduce interference, this modem is ideal for high-definition streaming and gaming. The price for this modem runs high, but also comes with a two-year warranty for a greater guarantee.